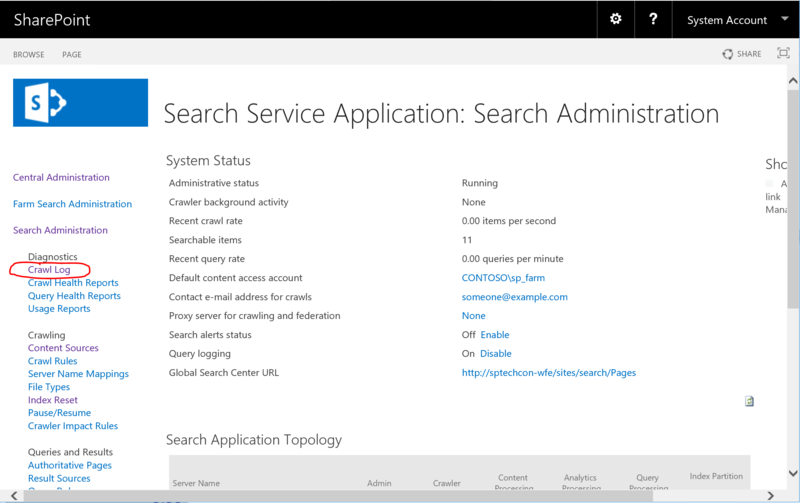 1 – Navigate to the Search Service Application Page in Central Administration. 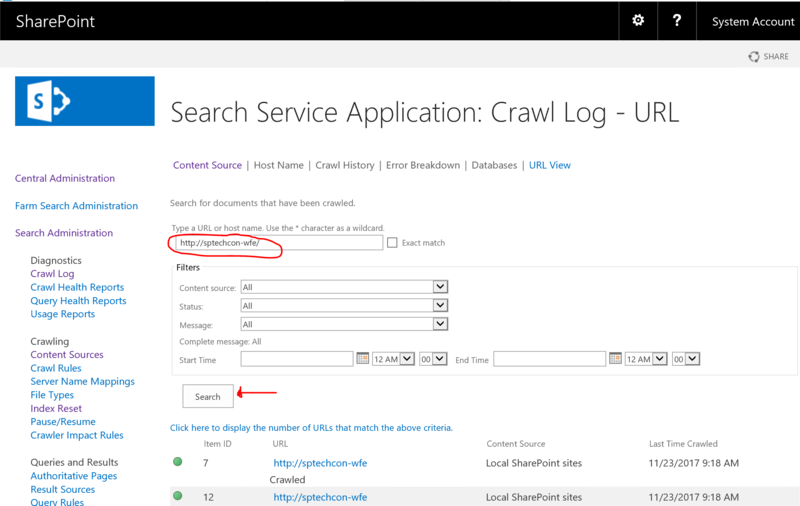 2 – Click on Crawl Log in the left navigation. 3 – In the top navigation, click on URL View. 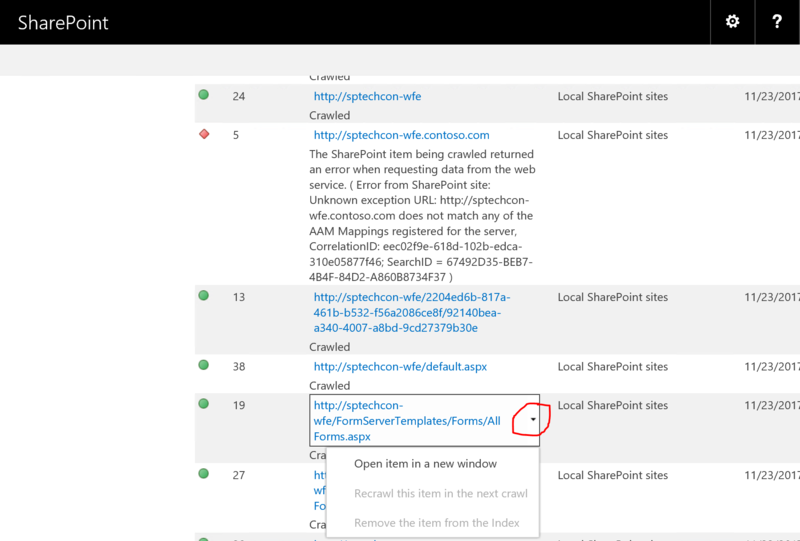 4 – Search for the URL (or pattern) you want to remove. 5 – Find the item in the list and click on it to expand the contextual menu. 6 – From the list of options, select Remove the item from the Index. In order for my clients to automate this process for the URLs they want to remove from the Search Index, I created a quick cmdlet called Remove-SPEnterpriseSearchURLFromIndex which simply takes in a URL pattern. Upon detecting URL entries in the Crawl Log that match the provided URL, the cmdlet will prompt the user to remove the item from the index or not. $deletionAnswer = Read-Host "Do you confirm the deletion (y/n)"